One of the top reasons people come to my Nashville chiropractic office is because they are in pain and they want relief. While spinal manipulation often helps, in some cases, dry needling is even more effective. You know how you sometimes get “knots” in your muscles, causing that area of your body to feel sore and difficult to move? Well, those knots are called myofascial trigger points and they are actually muscles that are stuck in the contracted position, which is the reason you feel so much pain. Fortunately, dry needling can help. With dry needling, a tiny needle is inserted into the knot right at the trigger point. This forces your muscle to relax, thereby reducing, and even eliminating your pain. It is a treatment method I use right in my Nashville chiropractic office to help release the tension so you can move about pain-free and without restriction. According to research, dry needling works and it works well. For instance, a study published in The Journal of Orthopaedic and Sports Physical Therapy looked at about a dozen randomized control trials and found that, overall, dry needling was able to provide the patient with pain relief instantly. Additionally, the patient continued to experience relief four weeks into the treatment sessions. Although it may seem like dry needling would hurt, most patients don’t experience any pain with this particular treatment method as the needles are exceptionally small. You might feel a slight contraction of the muscle for a moment or two when the needle is inserted, but it isn’t painful. Isn’t Dry Needling the Same as Acupuncture? 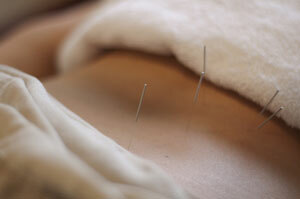 Dry needling and acupuncture are two different treatment methods. Acupuncture is based on Chinese medicine and is performed to open your “flow,” thereby by relieving your pain; whereas dry needling is a method of treatment for musculoskeletal and nervous system issues based on trigger points. 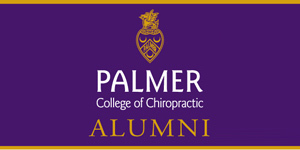 Call Our Nashville Chiropractic Office Today! If you are experiencing knots in your muscles and want to find relief, call Dr. Sweeney today. He’ll help you release your pain so that you can go back to living your life—immediately! Kietrys, D. M. (2013, September). Effectiveness of dry needling for upper-quarter myofascial pain: a systematic review and meta-analysis. The Journal of Orthopaedic and Sports Physical Therapy, 43(9), p. 620-634; doi:10.2519/jospt.2013.4668.